Parc Natural SerradMariola,Spain,September2017. 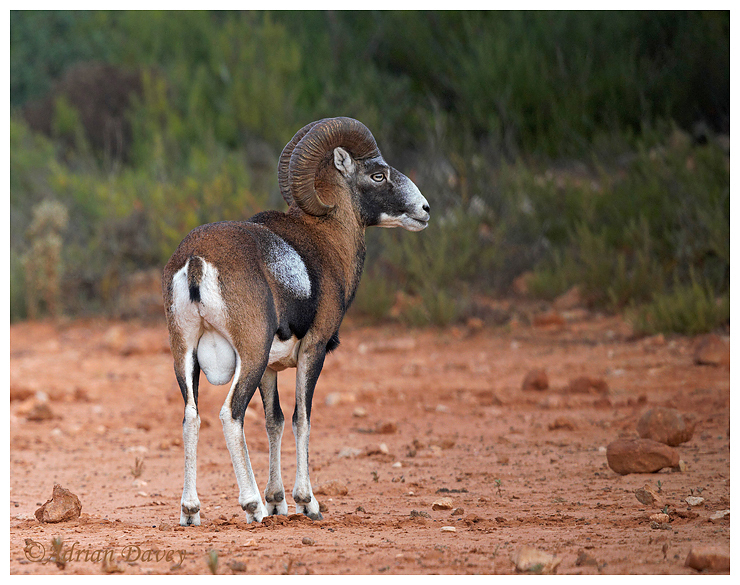 Mouflon area species of wild sheep which inhabit mountainous areas of parts of Europe. Gorgeous animals and very wary. Lovely on the red soil of this region of Spain.